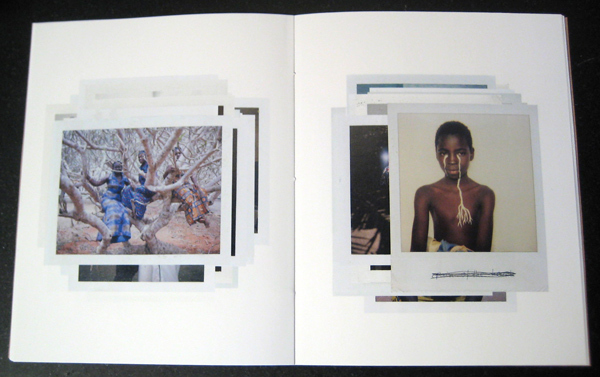 Sketches, Polaroids of Africa (2002-2010) by Viviane Sassen is a special little book. A collection of Polaroids from Sassen’s many years and projects in Africa, the images are a wonderful insight into her process and vision. These Polaroids were taken as test shots, used to feel out the image before taking a final photograph, and are, as the title implies, sketches. The relationship between the images in this book and Sassen’s publication Flamboya are clear, and even includes a few test shots for images that made it into the book. The photographs in Sketches are not completed works, and the book makes no effort to present them as such. Shown in stacks, the edges of the photographs underneath peaking out, the presentation of the images gives the feel of the photographer handing a heap of photographs to the viewer, making for both a laid back and intimate viewing experience. Catching glimpses of other photographs beneath the main image on the page can give a pang of anxiousness that something is being missed, but keen eyes will notice that the book walks through the piles -- the image on the next page being the image directly underneath. The photographs are mostly portraits, and extension of Sassen’s creative and unexpected way of portraying her subjects. 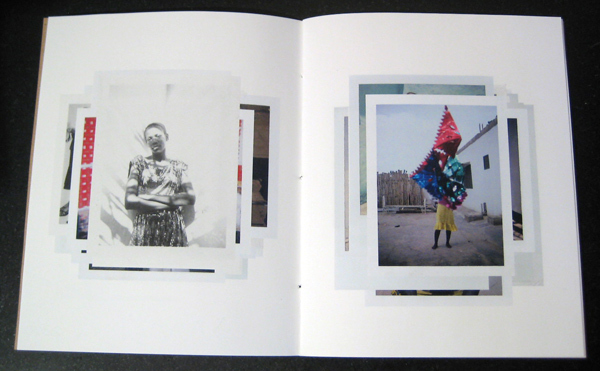 While all are intriguing, the images are rougher than Sassen’s other published work. Some are out of focus – others don’t seem to be exposed quite right – some display the quirkiness of Polaroid film – but these elements add to this collection. They are sketches, raw and unrefined, captured with a unique energy.